LOS ANGELES — The City of Los Angeles launched “Safe Sidewalks LA” –its comprehensive 30-year sidewalk repair program, an unprecedented City investment of $1.4 billion to fix its sidewalks, making them accessible to everyone and renewing them as a center of civic life and pride. 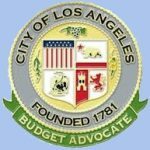 The program was approved unanimously by the Los Angeles City Council after nearly three years of public dialogue, led by the Council’s Budget and Finance and Public Works and Gang Reduction Committees in collaboration with the Mayor’s Office, and bolstered by input from hundreds of residents from across the City. 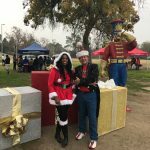 Safe Sidewalks LA is spearheaded by the City’s Bureau of Engineering (BOE) in close coordination with many departments and agencies, notably the Department on Disability, which will play a vital role in the program’s implementation. While repairs surrounding City facilities, such as fire stations, police stations, parks, libraries and recreation centers, are currently in progress, this next phase is an expansion of the repair program that will address broken sidewalks and will prioritize repair requests from people with disabilities, their families and caretakers. Through a cost-sharing initiative, this next phase will also offer a limited number of rebates to property owners who are willing to fix their own sidewalks. “In leading the public-private partnership that is implementing the City’s Sidewalk Repair Program, we are delivering these improvements to the highest standards possible as we work together to make sidewalks accessible to everyone in Los Angeles” said Gary Lee Moore, City Engineer. 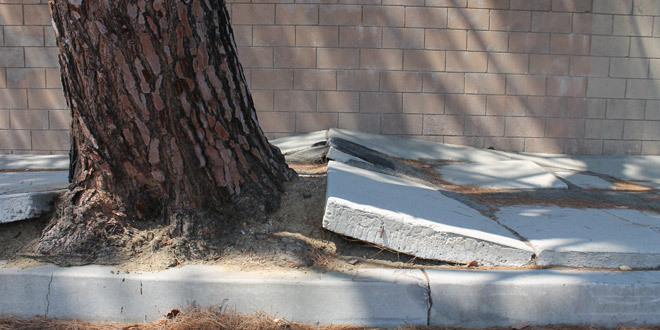 *Access Request Program: People with a mobility disability who encounter physical barriers due to broken sidewalks, missing curb ramps or other barriers in the public right of way can request a repair. *Rebate Program: A limited-time rebate for eligible property owners willing to pay for their own sidewalk repairs and get them fixed in an accelerated time. Owners can receive up to $2,000 for a residential lot or $4,000 for a commercial lot. The rebate program will be available for three years. *Also, the general public can report a sidewalk in need of repair. To submit a sidewalk repair request and for more information on Safe Sidewalks LA, go to www.sidewalks.lacity.org or call 3-1-1. NHNENC Hosts Holiday in the Oaks December 10th!